Robinson Correctional Center is located in Crawford County Illinois. 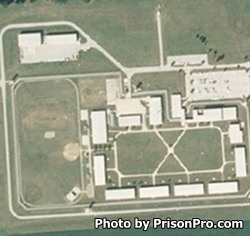 It is a minimum security prison that can house up to 1,223 adult males. Inmates are housed in one of six housing units and have access to educational and vocational courses. Offenders can receive substance abuse treatment, parenting and lifestyle courses, anger management and life skills counseling, and re-entry preparation. Robinson Correctional Center encourages all inmates to participate in obtaining an adult basic education and a GED. Vocational skills that are taught at this facility include culinary arts, horticulture, a two year college degree program, and commercial custodial training. General population inmates have visitation everyday from 8:30am-7pm. Inmates can have up to seven visits in a month, but only three of the visits can be on weekends or a holiday. Segregation inmates have visitation everyday 9am-3pm and are limited to one hour visits twice a month. If you arrive in the last two hours of a visiting day you may not be allowed to visit.